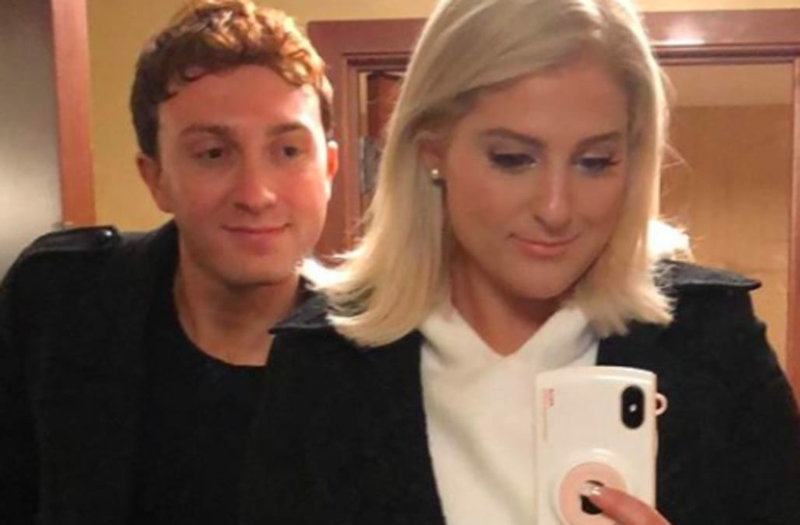 While visiting The Talk on Wednesday (Jan. 31), pop singer Meghan Trainor spilled new details about her engagement to her now-fiancé Daryl Sabara with host Sharon Osbourne telling her to share “everything” and boy did the "Dear Future Husband" singer not hold back. Trainor shared how her soon-to-be-husband brought her to Palm Springs Living Desert Zoo & Gardens for her 24th birthday and popped the question among her family and under a stunning spectacular of festive holiday lights. Osbourne then hinted to the audience and viewers at home that “something happened the next day that wasn’t so great,” at which point Trainor revealed that she threw up on the actor on their car ride home from the blessed event. “We're eating so much healthier nowadays, but we were at the hotel and we're eating the hotel food and the day that we drove home I got food poisoning on the car ride,” she shared. "So, he's driving and I'm just in his face like [throwing up sound], and I told him, 'I'm so sorry,' and he's like, 'I'd kiss you right now.'" The singer revealed the adorable couple did share a kiss, which made the audience and members of the roundtable squirm and laugh at same time. To see Trainor describe the gross encounter on The Talk, view below.